Don’t you love peanuts? I do! So anytime I can put more peanuts in a cookie, I’m all for it. When it comes to peanuts, less is definitely not more! Even though this recipe uses unsalted peanuts, I couldn’t help but remember “Salt Peanuts” played by Dizzy Gillespie. 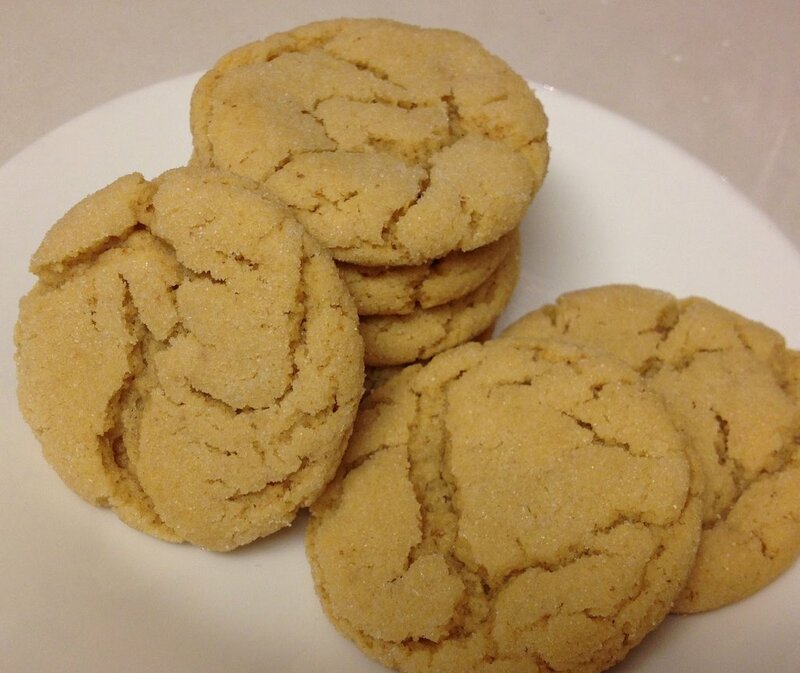 So take a listen and enjoy the most peanut-filled cookies ever! Grind 2 cups peanuts in food processor until finely ground. Divide into 1 cup and ½ cup amounts. Set aside. In a medium bowl, combine flour, salt and baking soda. Set aside. In a large microwaveable bowl, place peanut butter and butter. Microwave for 10-15 seconds. Stir until smooth. Add granulated sugar, brown sugar, 2 tablespoons heavy whipping cream, and egg white. Stir together. Add 1 cup of ground peanuts to flour mixture. Stir. Add flour mixture to peanut butter mixture. Stir until flour mixture is incorporated. Roll into 1-inch balls then press flat between the palms of your hands. Peel the dough off your hand carefully and place on parchment lined baking sheet. 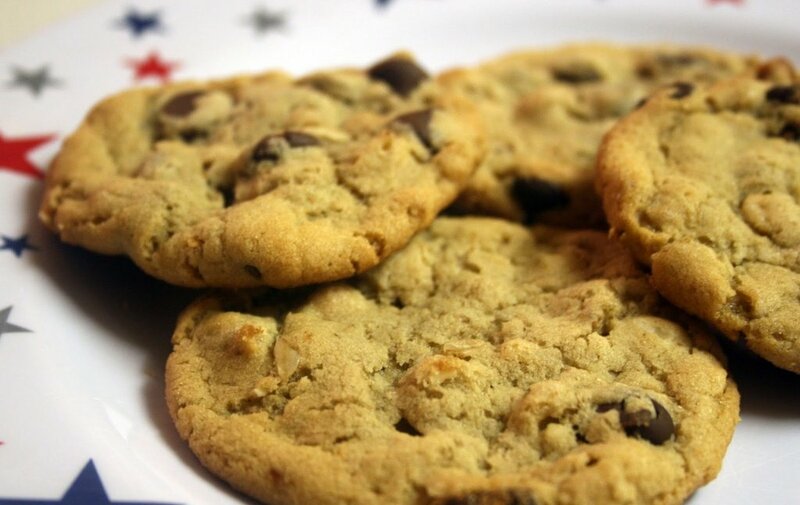 Place cookies about ½-inch apart. Bake 12 minutes at 350 degrees until firm, crisp. Cool on baking sheet for five minutes. Remove to cooling rack. In a microwavable bowl, place peanut butter and butter. Microwave for 15 seconds. Add 3 tablespoons heavy whipping cream and salt. Stir. Add confectioner’s sugar and ½ cup ground peanuts. Stir. If too thick to spread, add 1-2 more tablespoons of heavy whipping cream. Scoop 1 tablespoon of filling onto the bottom of a cookie. 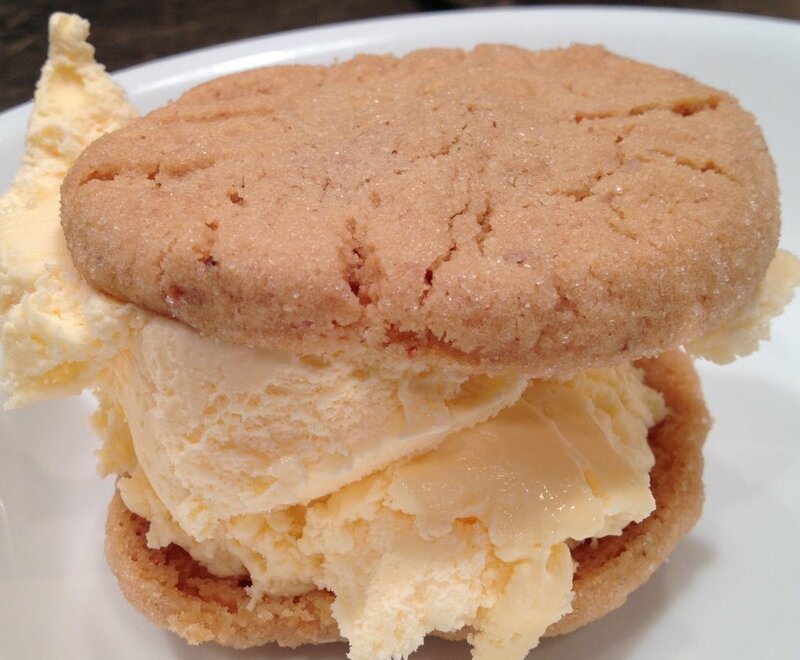 Gently press and twist in the middle—not the edges—a top cookie over the filling to make a sandwich cookie. 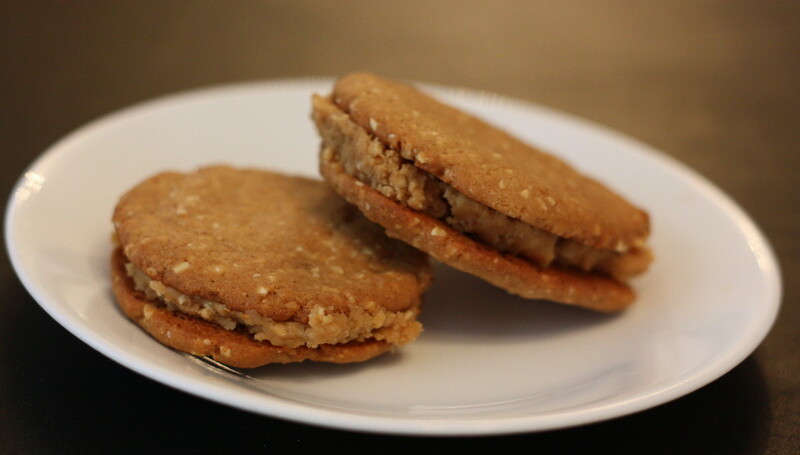 Peanut Butter Cloud Cookies Chocolate Chip Peanut Butter Oatmeal Cookies Peanut Butter Brownies New Year’s Resolution: Peanut Butter Ice Cream Sandwiches!